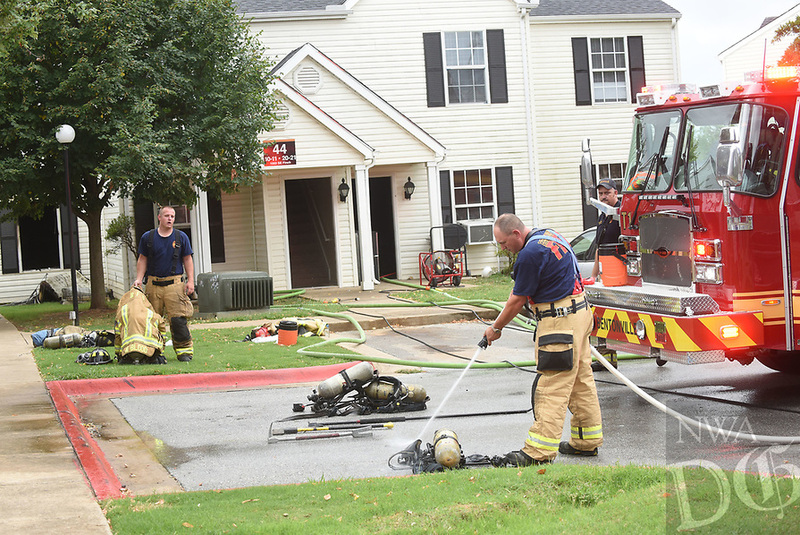 Firefighters rinse gear after extinguishing a fire Tuesday Aug. 7 2018 at Ashton Heights Apartments, 1002 S.E. Finch Lane, Building 44. Four families are displaced by the fire that started about 9:30 a.m. A cause has not been determined, Bentonville fire officials said. A child was initially reported as missing but was found unharmed later.